During the summer of 2018, the planets of Mars and Saturn (one after the other) have been in opposition. In astronomical terms, opposition refers to when a planet is on the opposite side of the Earth relative to the Sun. This not only means that the planet is closer to Earth in its respective orbit, but that is also fully lit by the Sun (as seen from Earth) and much more visible. 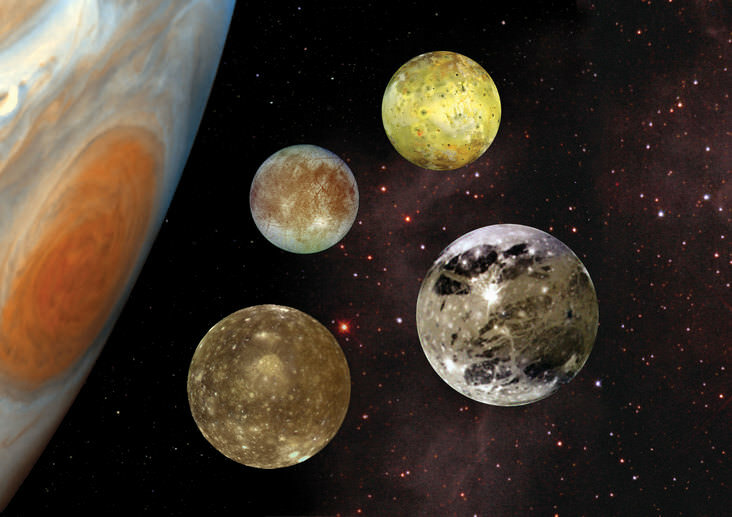 As a result, astronomers are able to observe these planets in greater detail. The Hubble Space Telescope took advantage of this situation to do what it has done best for the past twenty-eight years – capture some breathtaking images of both planets! 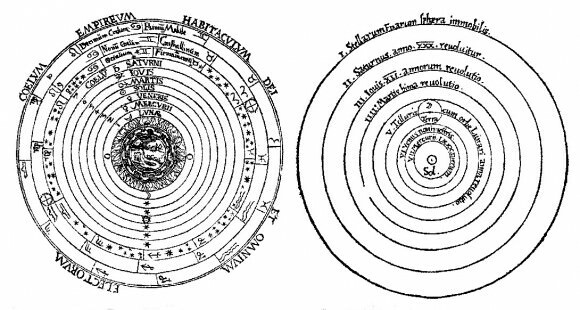 Hubble made its observations of Saturn in June and Mars in July, and showed both planets close to their opposition. Hubble’s high-resolution images of the planets and moons in our Solar System can only be surpassed by spacecraft that are either orbiting or conducting close flybys to them. However, Hubble has a major advantage over these types of missions, in that it can look at the Solar planets periodically and observe them over much longer periods of time than a passing spacecraft. 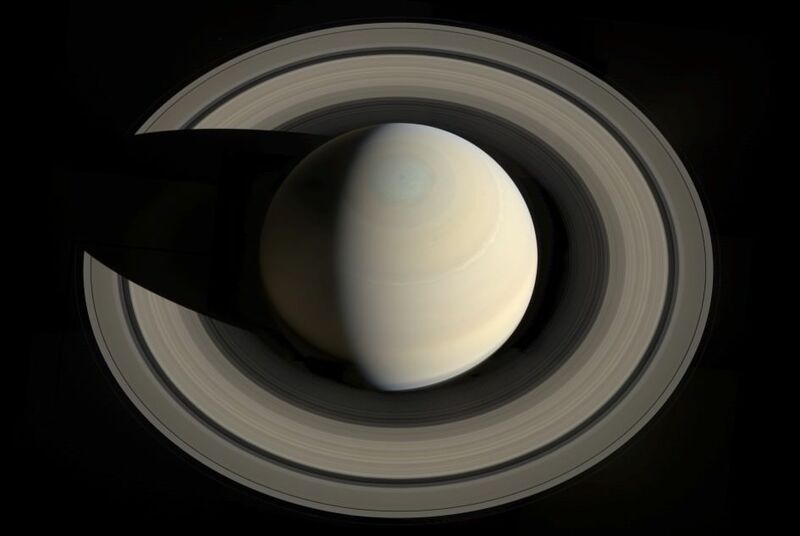 Hubble observed Saturn on June 6th, almost a month before it reached opposition on June 27th. At the time, the ringed gas giant was approximately 1.4 billion km (870 million mi) from Earth. Hubble was able to capture the planet’s magnificent ring system at a time when it was at its maximum tilt to Earth, which allowed for a spectacular view of the rings and the gaps between them. 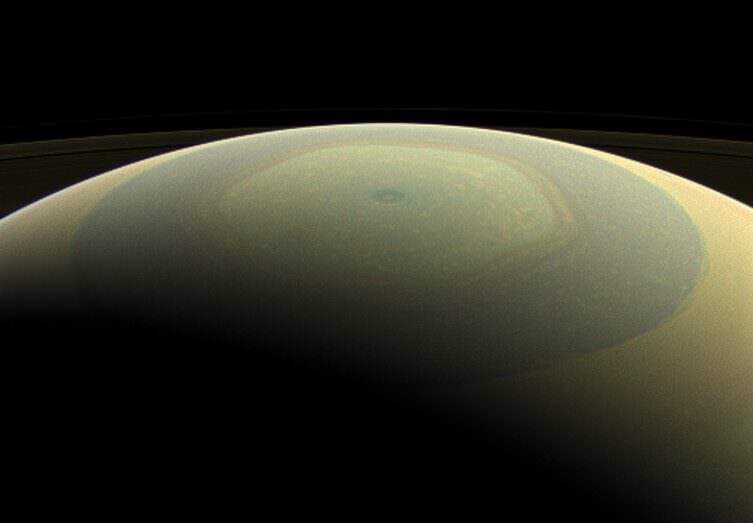 Hubble’s new image of Saturn also managed to capture the hexagonal storm around the gas giant’s north pole. This stable and persistent jet stream was first observed by the Voyager 1 probe during its flyby of Saturn in 1981, and has been a mystery to astronomers ever since. On top of that, the new image also features six of Saturn’s 62 known moons – Dione, Enceladus, Tethys, Janus, Epimetheus, and Mimas. Hubble’s new image of Mars was captured on July 18th, 13 days before it reached its closest approach to Earth. This year will see the Red Planet get as close as 57.6 million km from Earth, which is the closest approach made since 2003. On that occasion, Mars was just 55,757,930 km (34,647,420 mi) from Earth, which was the closest the planet had been to Earth in almost 60,000 years! Mars is at opposition to Earth every two years, so Hubble has had many opportunities to capture detailed images of the planet’s surface. However, this new image is different in that it is dominated by a gigantic sandstorm that is currently encompassing the entire planet. This storm has been raging since May of 2018 and developed into a planet-wide dust storm within several weeks. Dust storms are a common occurrence on Mars. They take place every year, usually stay contained to a local area, and normally last only about a few weeks. Larger dust storms that can grow to cover the entire planet are a rarer event, and can typically last for weeks or even months. These tend to happen during the spring and summer months in the southern hemisphere, which coincides with Mars being closer to the Sun in its elliptical orbit. Due to increased temperatures, dust particles are lifted higher into the atmosphere, creating more wind. The resulting wind kicks up yet more dust, creating a feedback loop that NASA scientists are still trying to understand. While spacecraft orbiting Mars and rovers and lander can study storm behavior at lower altitudes or from the surface, Hubble observations allow astronomers to study changes in the higher atmosphere. 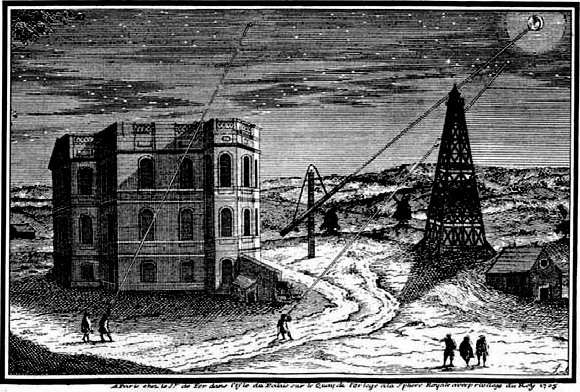 The combined observations will help planetary scientists to better understanding how these global storms arise. Despite the obscuring dust storm, Hubble still managed to capture several important Martian surface features like the polar ice caps, Terra Meridiani, the Schiaparelli Crater, and Hellas Basin – even though all of them appear slightly blurred in the image. The Hellas Basin – an impact basin that measures 2200 km (1367 mi) across and is nearly 8 km (4.97 mi) deep – is visible at the lower right and appears as a large and bright oval area. The orange area in the upper center of the image is Arabia Terra, a large upland area in northern Mars. This region is characterized by many impact craters and heavy erosion, which indicates that it could be among the oldest terrains on the planet. South of Arabia Terra are the dark streaks known as Sinus Sabaeus and Sinus Meridiani, features that stretch from east to west along the equator and are made of up dark bedrock and sand deposits from ancient lava flows. Because it was autumn in the northern hemisphere when the image was taken, it is covered in a bright blanket of clouds – and clouds can also be seen above the northern and southern polar ice caps. Last, but not least, Mars’ two small moons – Phobos and Deimos – appear in the lower half of the image. Comparing these new images of Mars and Saturn with older data gathered by Hubble, other telescopes and the many probes that have taken images of them over the years will allow astronomers to study how cloud patterns and large-scale structures on the Solar planets change over time. These latest images also show that even after almost three decades of being in operation, Hubble is still able to pull its weight! The Cassini-Huygens mission is coming to an end. Cassini was launched in 1997 and reached Saturn in 2004. It will end its mission by plunging into the gas giant. But before then, it will dive through Saturn’s rings a total of 20 times. The first dive through the rings was just completed, and represents the beginning of Cassini’s final mission phase. On December 4th at 5:09 PST the 2,150 kg, plutonium-powered probe, crossed through a faint and dusty ring created by the moons Janus and Epimetheus. 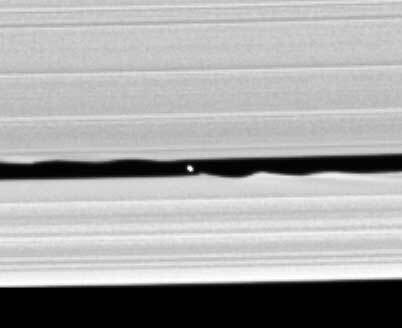 This brought it to within 11,000 km of Saturn’s F-ring. 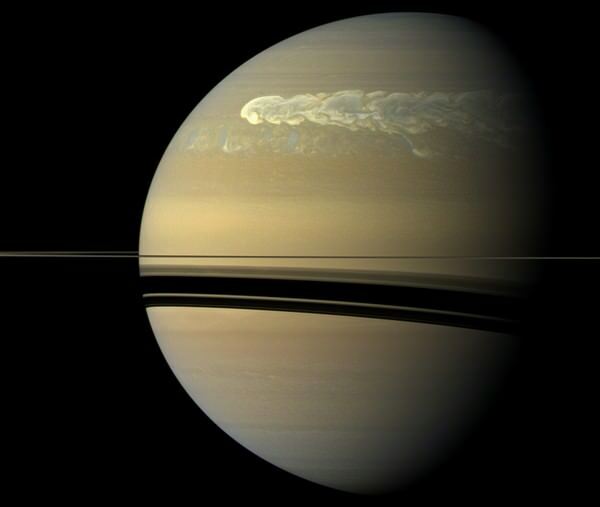 Though the end of a mission might seem sad, people behind the mission are excited about this final phase, a series of close encounters with the most iconic structures in our Solar System: Saturn’s glorious rings. Even casual followers of space news have enjoyed the steady stream of eye candy from Cassini. But this first orbit through Saturn’s rings is more about science than pictures. The probe’s cameras captured images 2 days before crossing through the plane of the rings, but not during the closest approach. In future ring-grazing orbits, Cassini will give us some of the best views yet of Saturn’s outer rings and some of the small moons that reside there. 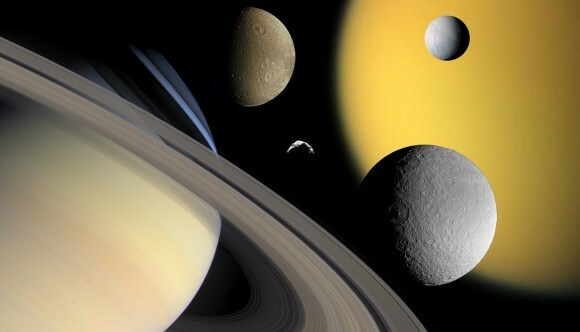 The Cassini mission discovered 7 new moons orbiting Saturn. Methone, Pallene and Polydeuces were all discovered in 2004. Daphnis, Anthe, and Aegaeon were discovered between 2005 and 2009. The final moon is currently named S/2009 S 1. In 2014, NASA reported that yet another new moon may be forming in Saturn’s A ring. The Huygens lander detached from the Cassini orbiter on Christmas Day 2004. It landed on the frigid surface of Saturn’s moon Titan after a 2 1/2 hour descent. The lander transmitted 350 pictures of Titan’s descent to the surface. An unfortunate software error caused the loss of another 350 pictures. 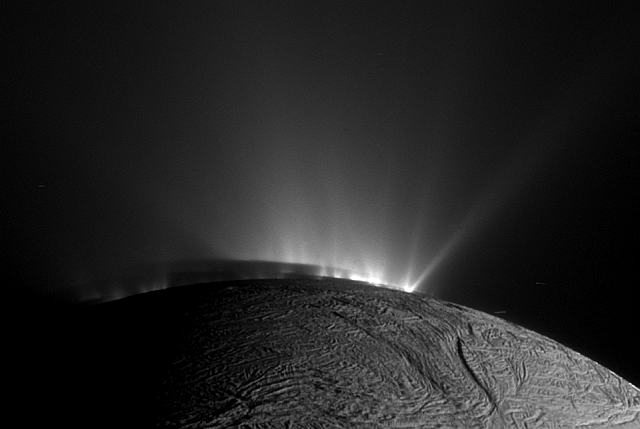 Cassini performed several flybys of the moon Enceladus. The first was in 2005, and the last one was in 2015. 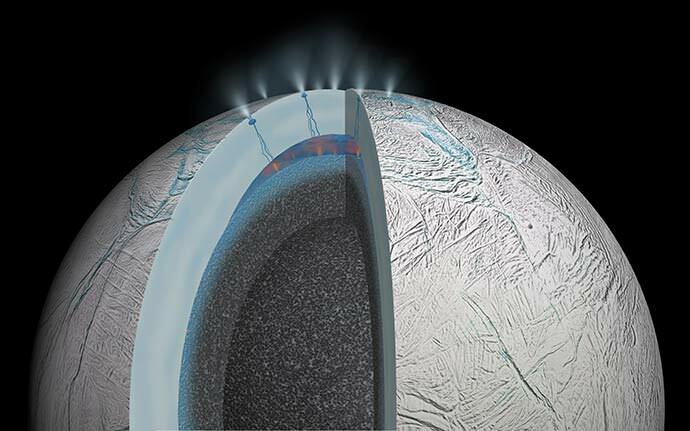 The discovery of ice-plumes and a salty liquid ocean were huge for the mission. The presence of liquid water on Enceladus makes it one of the most likely places for microbial life to exist in our Solar System. Each of Cassini’s final ring-grazing orbits will last one week. Cassini’s final orbit will bring it close to Saturn’s moon Titan. That encounter will change Cassini’s path. Cassini will leap over the rings and make the first of 22 plunges through the gap between Saturn and its rings. In September 2017, the Cassini probe will finally reach the end of its epic mission. In order to prevent any possible contamination of Saturn’s moons, the probe will make one last glorious plunge into Saturn’s atmosphere, transmitting data until it is destroyed. The Cassini mission is a joint mission between the European Space Agency, NASA, and the Italian Space Agency.